Box 2 has been developed to build on and continue the established routines, skills and self-help strategies that have made The Five Minute Literacy Box (Box 1) so successful. 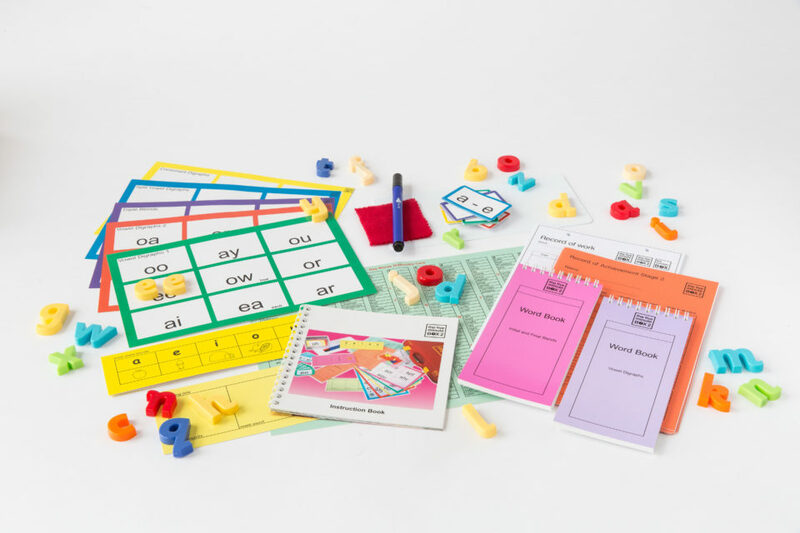 All activities are multi-sensory – “hear, see, say, write” for every task, making it ideal for dyslexic children as well as slower learners and second language children. 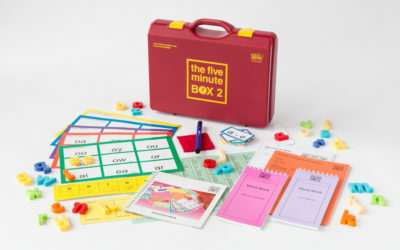 Box 2 covers the next stage of phonic development – consonant digraphs, triple digraphs, vowel digraphs, generalised spelling patterns, keywords 100 – 300, dictionary skills, auditory discrimination skills and most importantly transferring all the skills into confident writing. 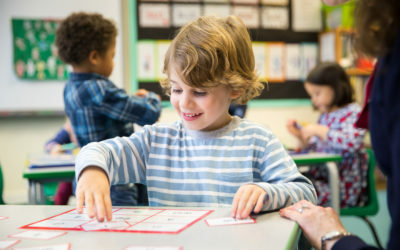 It provides the next stage step-aside spelling programme to ensure that children experience and share success in ‘test’ situations, thereby maintaining self-esteem and a more positive attitude. a follow on to Five Minute Literacy Box when all skills are confident. To provide an easy to manage teaching system for any child who needed extra time to learn or to consolidate basic skills, managed by a Teaching Assistant for a few minutes a day. To ensure that any child who may turn out to be dyslexic has had multi-sensory teaching since starting school rather than waiting to be diagnosed later and then having to start from the beginning again. 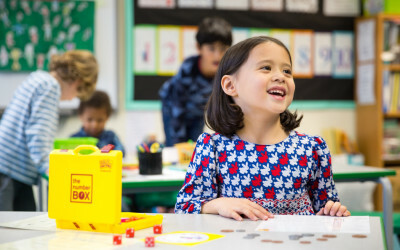 Most importantly, it is a system that children engage in with the utmost enthusiasm, taking ownership of their learning and progressing from the very first time they open the Box. You have really captured our imagination and we are all filled with great enthusiasm for the Five Minute Box…being used with great effect! 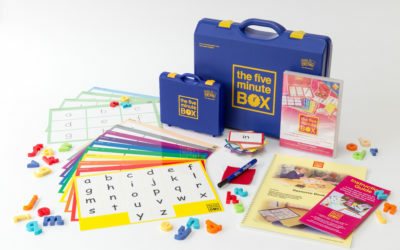 …how delighted we are with our Five Minute Box…it has been a great success…well worth the money. The children themselves love the Box too. It looks professional and business-like.